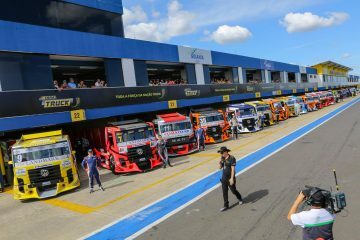 After two thrilling races in Guaporé, Rio Grande do Sul, and with the sum of the two stages of the South Cup (Cascavel and Guaporé), the winners Wellington Cirino, Giuliano Losacco and André Marques are finally unveiled. Congratulations to the pilots and their teams that, taking advantage of the Frum disc brakes, have reached the highest positions of the podium. 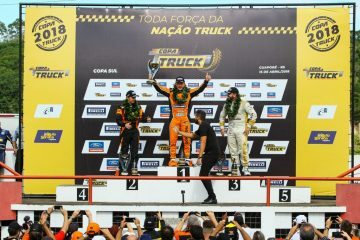 Meanwhile, we wait apprehensively for the next stages of the Southeast Truck Cup! Today we had the honor to welcome our CEO, Mr. Pedro De Sordi, back. Our patriarch, at the age of 89, has been absent for 10 days and was received by everyone with applause. Frum completed 66 years punctuated by victories and we thank Mr. Pedro De Sordi for being a mentor and for elevating the company as an important reference in the heavy automotive market.